The sinister thing about weight gain is most people (even world class athletes) don’t know how or why they gain weight the way they do…and you’ll never defeat an enemy you can’t understand. For example…according to the National Institutes of Health, dieters regain almost all of their lost weight within 5 years after dieting. Without the knowledge of how your body gains weight, why it gains weight and what foods are likely to increase your risk of weight gain…you will doom yourself to a revolving door of weight gain and dieting. Thankfully there is a solution…Ideal Protein. Pick up the phone and give us a call, Leslie Genoway (306) 581-9556 or Erin Genoway (306) 596-6569, we’ll help you discover your inner confidence as we train you to shed your excess pounds and teach you to maintain a stable weight after dieting! The Ideal Protein Protocol burns fat while supporting muscle and teaches dieters how to develop smarter eating habits and lifestyle choices so they can maintain a stable weight after dieting. 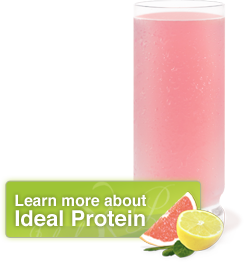 Supporting muscle mass with high quality protein products is crucial as muscle is required to burn calories. If you lose muscle along with fat while dieting, a very common but often ignored consequence of many diet programs, you will have reduced your ability to burn adequate calories post-diet. Therefore, supporting muscle tissue, while burning fat is key to reducing the likelihood of you regaining your excess weight once dieting has ended. Additionally, phases 3 & 4 of the program concentrate on increasing your knowledge of smarter lifestyle choices and and better eating habits so you are better able to sustain weight stabilization. Anyone can lose weight…learning how to live at a stable weight after dieting should be your ultimate goal. Call today, Leslie Genoway (306) 581-9556 or Erin Genoway (306) 596-6569, and find out how your Ideal Protein Weight Loss coach can teach you how to make smarter lifestyle choices.